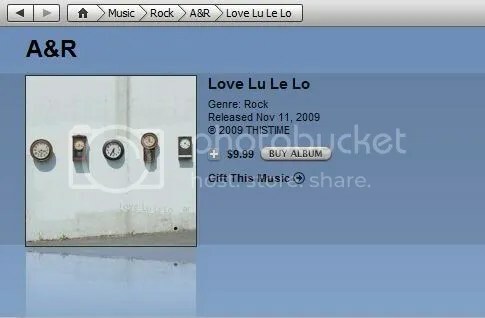 If by chance you are looking for the new ar album Love Lu Le Lo, you will find the album under the name A&R on iTunes. Out of all the work they put into licensing this from Japan, they couldn’t even spell two letters right. But of course if you must pay for mp3s, you might as well buy them at Japan Files. It’s a couple pennies cheaper and isn’t gay.